AI Expo Africa is building the largest inclusive Pan-African AI Community to lead the 4th Industrial Revolution on the continent. The Expo & Conference to be held on the 9th to 11th of September 2018, will showcase African AI talent and provide free skills development workshops from the likes of Intel for young engineers, data scientists, students and entrepreneurs. The Conference and Expo will draw together business leaders from across all sectors on the continent to equip them with the knowledge, real world case studies of AI in a business context and how to implement AI in their businesses to improve profitability and efficiency. The conference will feature African thought-leaders in Artificial Intelligence and showcase diverse talents including strong contingent of African Women Tech leaders and AI ethics panel discussion. Leaders in the African AI, data science and investment space like Accenture, SAP, Dimension Data, BCX, Siatik, Intel, Startup Boot Camp, Knife Capital and Sqwidnet - to name a few - will showcase their AI offerings. 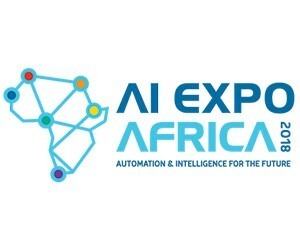 The AI Expo Africa 2018 will see the largest pan-African Artificial Intelligence community gather under one roof with a shared vision of harnessing AI for the benefit of Africa.Skills partners like Silicon Cape, Machine Intelligence Institute of Africa, Explore AI and Injini, along with platform providers will assist in creating a skills development programme that will enable Africans to take their place at the forefront of this new technology frontier. From retail, industry, finance and security to local government, agriculture, hospitality, health and logistics to name a few, Artificial Intelligence & IT possesses the inherent ability to transform all business environments, streamline workflow, efficiently analyse Business Intelligence data and improve profitability. It is for this reason that all CxO’s need to understand AI at a practical level and begin to implement it in their businesses or organisations. AI Expo will offer just that: A marketplace to understand AI at a practical level, source providers that can help implement it into any business and understand how AI can improve business efficiency. Expo Chairman Roy Bannister adds, “We are also proud to be working with AI Expo’s chosen charity and upliftment partner Starting Chance http://www.startingchance.org.zawho are creating grass roots educational environments in the Western Cape”.